I always thought I would be a "boy mum". But after having Alice, I realised I'm far more of a "girl mum" really! I loved buying all the cute dresses, plaiting her hair and taking her to ballet. And now suddenly, I have a boy too! Because Tommy is no longer a baby, or a toddler. He's a boy. He loves cars. He's obsessed with them. It's the only toy he'll ever ask for, other than maybe a panda. His cot is filled with little toy cars and he has to hold them in his hands to fall asleep. Often in the night, I hear cars fall out the cot and crash on the ground (he doesn't wake up, thankfully!). His favourite colours are blue and green (which makes brown when mixed together, another favourite colour!). Of course, in lots of ways little girls and boys are the same. They both love climbing trees and play fighting and sliding down the stairs on their tummies. But in lots of ways, they are totally different too. It's weird because, now Alice is in school, Tommy and I have actually had some time together, just the two of us. And I feel like we're just getting to know each other! I'm so used to them being a pair, having to deal with the both of them at the same time and now it's just us all day long together! He makes me laugh so much, with his crazy faces and the need to tell me that everything is "poo poo" and "smelly" all the time! But of course, just we're getting used to each other and starting to get into a routine of being at home and going out just the two of us, everything will change again! 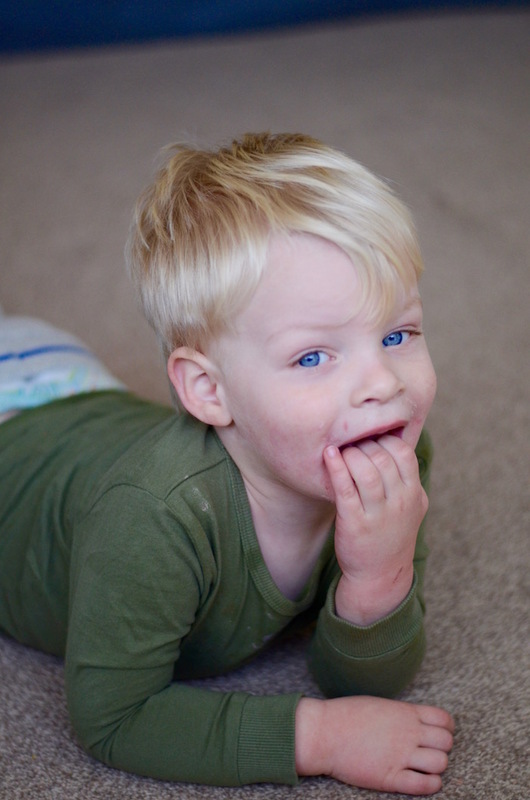 Because this not-so-little boy, starts nursery in September. And I remember just how much Alice changed and seemed to grow up when she started, so I'm totally preparing myself to see a huge change in Tommy when he goes. It's actually mad how quickly they grow up. Like, ridiculous. 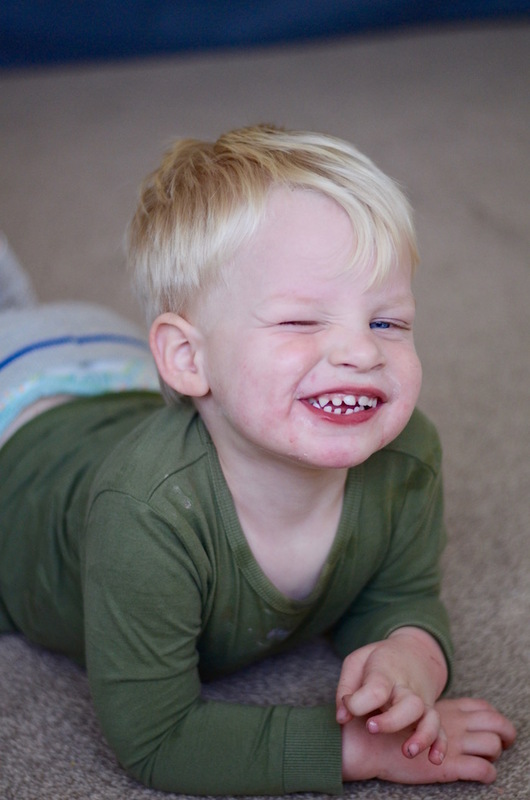 I thought I would write this, because I haven't really written a lot about Tommy on the blog and I think it's because, like I said, I'm so used to dealing with both children at the same time! So here's a little post for you Tom. My crazy, cheeky, kind, sensitive but totally bonkers little boy. I love ya.